Anton Kaipeita was a resident of Henderson in the late 1950’s. Unemployed with no obvious sources of income Anton spent most of his days in his small one bedroom flat, and appeared to have few friends and no family. In 1960 he left the country, leaving a letter and his house key to his neighbour. The neighbour did not act on the note immediately. She used the key only once to ensure nothing untoward had occurred. Assuming that he would be back in due course she put the note and key away and thought nothing more of it. After a number of months the neighbour grew concerned and filed a missing persons report. She was informed by the Police that Anton had in fact left on a ship for Europe and had filed papers with a Dunedin solicitor leaving the flat and its contents to her. Among the few possessions in the flat, the neighbour discovered a cupboard full of small paintings on paper that depicted fantastic buildings and interiors from a range of periods throughout history. In a leather-bound folder was also a collection of over 200 hand painted wallpaper designs that featured unusual combinations of European and Maori motifs. The neighbour later learned from the solicitor that Anton was a descendant of the French designer Jean-Baptiste Huet, Manufacture Royale to the court of Versailles in the 1780’s. Anton’s grandparents had immigrated to New Zealand in 1892 and had been of considerable wealth. Eventually the neighbour sold the flat and donated the entire portfolio of drawings to the Museum of True History [MOTH]. 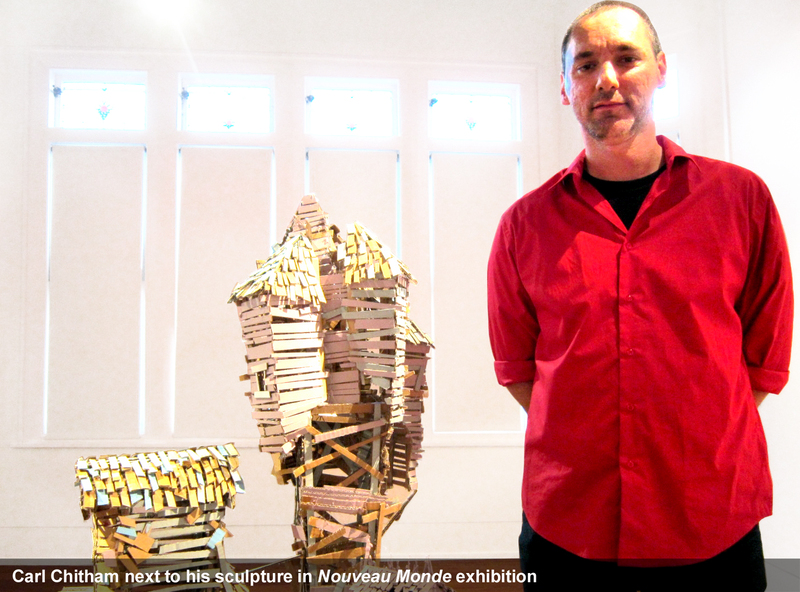 Although the collection is in a reasonable condition, MOTH has invited artist Karl Chitham to respond to the works that are now referred to as the Anton Kaipeita archive. The Museum of True History (affectionately known as MOTH) is an educational institu­tion dedicated to the pursuit of truth through the study and presentation of various materials from Antipodean history. Many of MOTH’s displays are reconstructions and assumptions often based on scant evidence extracted from archival resources. Since 2010 MOTH has held solo exhibitions at St Paul Street Gallery Auckland, Masterworks Gallery Auckland, Blue Oyster Gallery Dunedin and Waikato Museum Hamilton.